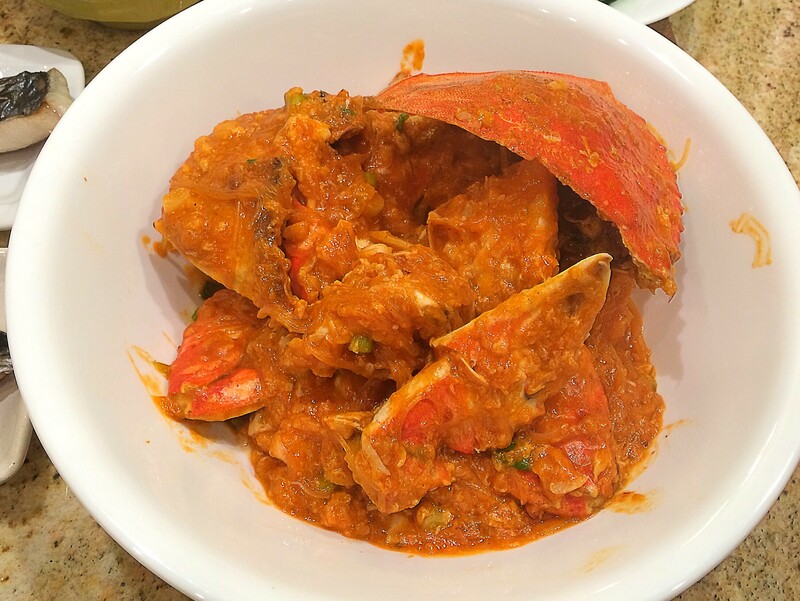 A national dish you can make at home with juicy crab, thick tomato paste, chili sauce, and egg drop. This dish is all about the sauce. Scoop it up with some bread, or simply eat with white rice! Mix 1 tablespoon of cornstarch with water. Set aside. Heat oil in a wok over high heat. Lightly coat the crabs with corn starch and pan fry in skillet. Remove from skillet when they are halfway cooked (about 5 minutes) and set aside. Heat oil in wok over medium high heat. Stir in garlic, gingers, chili, and shallots, until fragrant. Add fish broth, crab paste, fish sauce, sugar and stir, bring to the boil, then simmer 2 minutes. Return the crab and vermicelli to the wok and toss to coat in the sauce. Cook for another 5 minutes until the meat is opaque and fully cooked. Stir in cornstarch water (from Step #2) and bring to boil.